India is the land of festivals, and festivals speak of India’s rich cultural and traditional background. Festivals have become an integral part of every Indian and these aids to spread love and fill the air with laughter. There are many festivals celebrated across the length and breath of the country. Among all the festivals, Janmashtami creates a euphoric atmosphere and is celebrated with lots of enthusiasm and joy all over India. Sri Krishna Jayanthi commemorates the celebration of the birth of Lord Krishna, Lord Vishnu’s eighth incarnation. Sri Krishna was born on the Rohini Star on Ashtami day. The date of Janmashtami is not fixed as it depends on the cycle of the moon. Usually, it takes place in August or September. Dahi Handi is one of the main traditions of Janmaashtami celebrations in North India, which is the exuberant enactment of Lord Krishna’s childhood endeavors to steal butter. Clay pots called Dahi Handi that is filled with curd, and butter are suspended high above the ground. A team of youth forms a human pyramid to reach the pot and break it. Naivedyam distinguish the Gokulashtami in South India. People decorate the front yard with beautiful Kolams, and dangle thoranam made of mango leaves. Drawing the footprint of Lord Krishna using rice flour from the entrance to the Puja room is a typical South Indian style of celebrating Srijayanthi. This signifies that the Lord himself has come home. Prasadam has a significant place in Hindu festivals. Prasadam is the benedictions of the divine. In India, it is a custom to offer the prepared food to God before one eats. It is believed that the blessing of the Lord is transmitted through the food, and the food becomes prasadam. For children, Janmashtami brings a lot of joy as the fete means a lot of snacking. 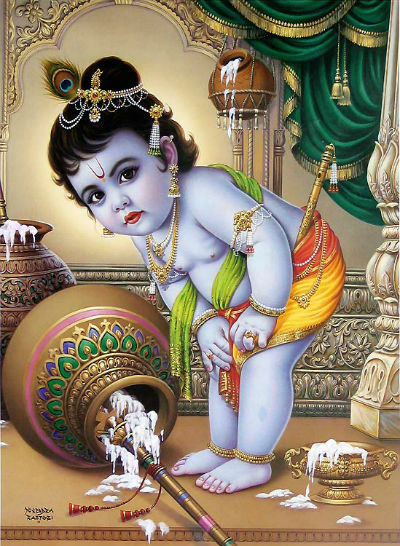 Since Lord Krishna was fond of milk and milk products, various dishes of milk mark the festival to please the Lord. Plenty of naivedyam is made. The traditional dishes prepared on Janmashtami include Vella cheedai, Peda, Singhare ki poori, Cashewnut burfi, Shrikand, Mango Shrikand, Gopalkala, Doodhachi kheer, Bhog ki kheer, etc. 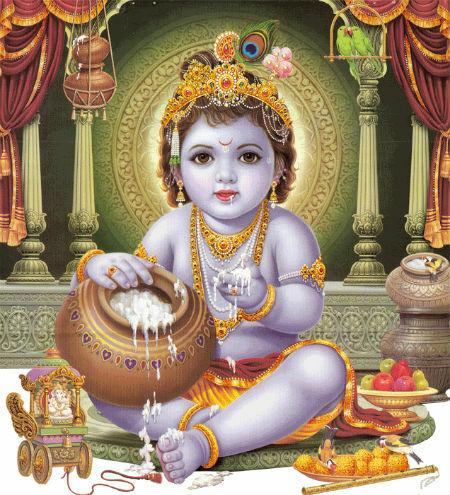 Since milk and milk products were Sri Krishna’s favored childhood food, plenty of milk products such as Milk, Butter, Navaneedham (a mixture of butter with sugar), curd are given in offerings. Wide variety of fruits, especially Jamun fruit, which is Lord Krishna’s favorite fruit, kalkandu (Rock candy), and panagam (Jaggery mixed with water) offer up to the Lord. 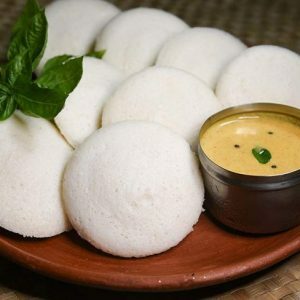 In South India, it is a custom to offer five types of savouries to the Lord. These snacks are prepared using rice flour as the main ingredient. Kai Murukku, Seedai, Ven Murukku, Butter Murukku, Thenkuzhal, Ribbon Pakoda, and Mullu Murukku are some of the savouries made on the occasion. The jubilation reaches its peak at midnight with the birth of Lord Krishna. The cradle containing Lord’s idol is rocked and conch is blown. After chanting mantras, Naivedyam is offered to the Lord. Devotional songs and dance mark the festivity. The major highlights of the festival include Rasaleela, processions with tabloids depicting various episodes from the life of Sri Krishna. Many people observe day long fast and break it by eating prasadams after performing Puja in the evening. Celebrate Janmashtami with much zeal and enthusiasm and experience the benevolence of Lord Krishna. 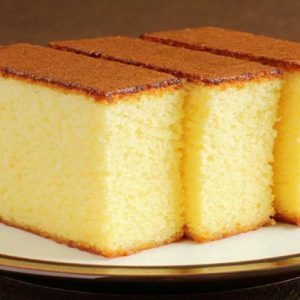 Feel free to comment or share your thoughts on this "Celebrating Sri Krishna Janmashtami" article from Awesome Cuisine.